Islamabad, July 27 (Just News): Election Commission (ECP) of Pakistan has released 95 per cent of the provisional results of National and the four provincial assemblies. 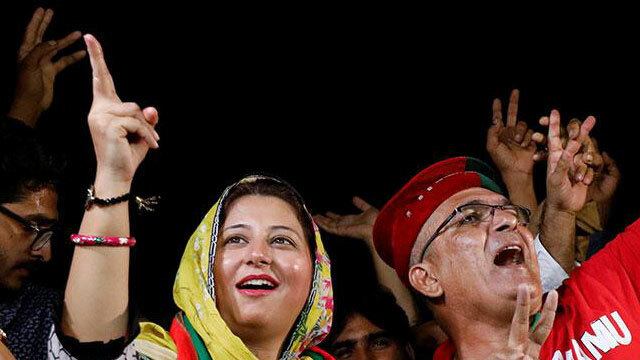 As things stand, PTI has won 110 seats in NA, 118 in Punjab, 20 in Sindh, 66 in KP and 4 in Balochistan. PML-N has bagged 63 in NA, 127 in Punjab, 0 in Sindh, five in KP and just a single seat in Balochistan. PPPP has won 42 seats in NA, 6 in Punjab, 71 in Sindh, 4 in KP and 0 in Balochistan. The official results of 19 seats in NA, 6 in Punjab, 11 in Sindh, 2 in KP and 5 in Balochistan have yet to be announced by the ECP.